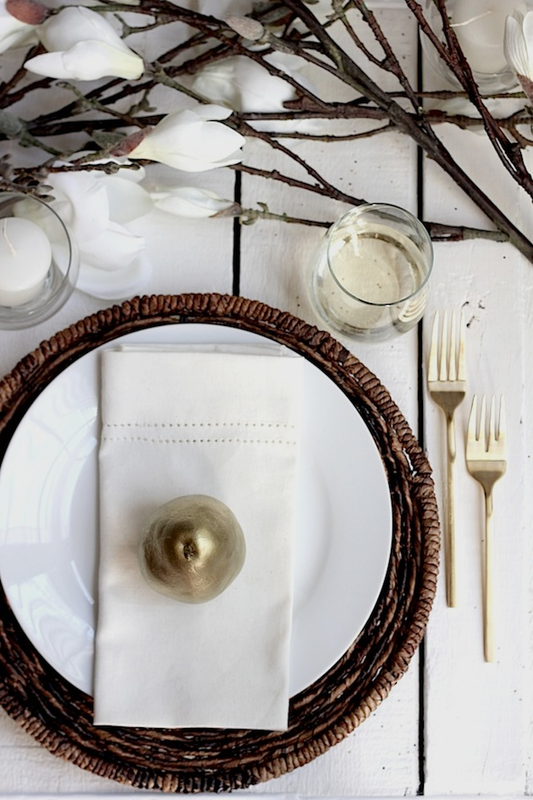 The thought of styling a holiday table often brings about the urge to shop for table decor. But I learned that starting with what you already have is the way to go! You might be surprised at what you come up with! The only thing new here is the flatware. I started with that woven charger. It adds texture and makes everything on top of it pop. The plate is this everyday white plate (on sale!) that I LOVE! They are quality, affordable, and go with everything. The pear is actually a real pear that I had leftover from this sangria. I spray painted it gold with a quality spray paint and I love how it turned out! The silk magnolia flowers are currently on my coffee table. I grabbed them and draped them across the middle of the table. 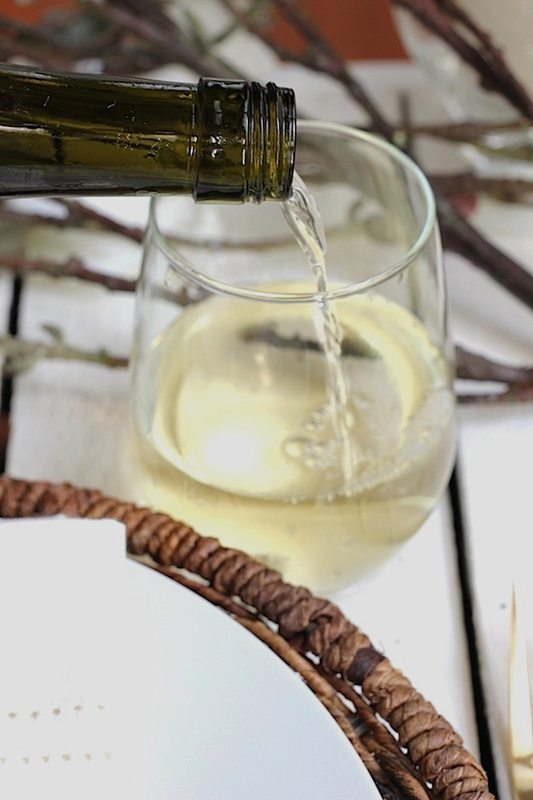 I personally like to use stemless wine glasses when I entertain instead of glasses with a stem. 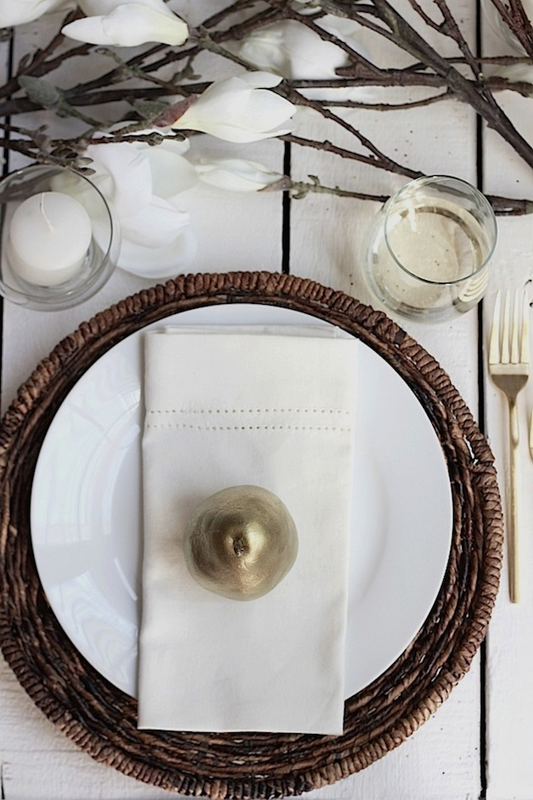 They keep things simple and casual - two things that make guests feel more comfortable. I added a little candle to the side for some ambiance and voila!! It's simple with a little elegance. Love it. Not only is this post OUTSTANDING but your Occassions Online interview was informative too! How do you have time to do all of this?! I'm so floored every time I read this blog! Thank you Savor Home. Clean and simple but not lacking in style by any means!! 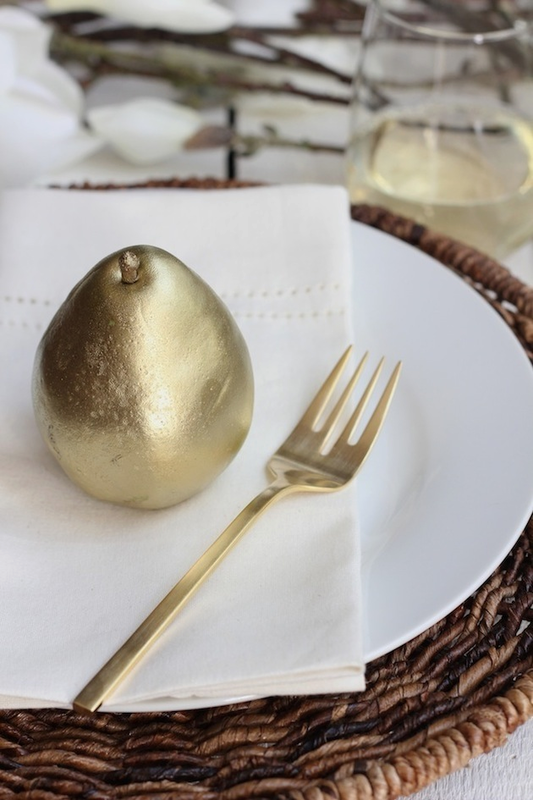 I love, love how the metallic pears match the cutlery - so pretty! !